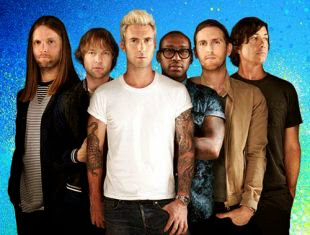 To promote their new singles singer Jessie J and Maroon 5 were the musical acts of the British version of X Factor program. On stage, the artist did a performance of her new single, "Bang Bang (Feat. Nicki Minaj, Ariana Grande)" without the presence of Ariana Grande and Nicki Minaj, who are part of the studio version of the track. The song is included on Jessie J’s third album, "Sweet Talker" which debuted at number five on the UK Albums Chart. The band Maroon 5 performed their new song, "Animals", which includes on their fifth studio album," V ".